I bought this for my fiance and she really enjoys it. It works great on and off the bike where some bike jackets scream motorcycle this one looks great even when you're just out for a hike. The only complaint is that it could use a lower heat panel on the front and the back. Good for summer and those that like to be warm at night. There is no protectiuon whatsoever in this jacket. Its pretty much an expensive wind breaker. The best thing about it is the heating pads. They warm your chest and shoulder blades. The battery is good for an hour or so of warmth. I'd just check it after an hour and charge it if I were you. The heat is nice, but your chest being so hot makes the rest of you feel colder. Keep in mind it is still semi-winter when I'm writing this. I expect it to be just right for summer night rides. If you get this jacket it'd be a good idea to carry the charger with you so you can charge the battery where ever you stop. Great jacket! Fit is good except for the sleeve length. It is a little long, but it is still a great fit overall. Have one myself and it's a great liner when it's just a little too cold in the AM. Bought this one for my wife. Girlfriend would be cold sitting on the equator. 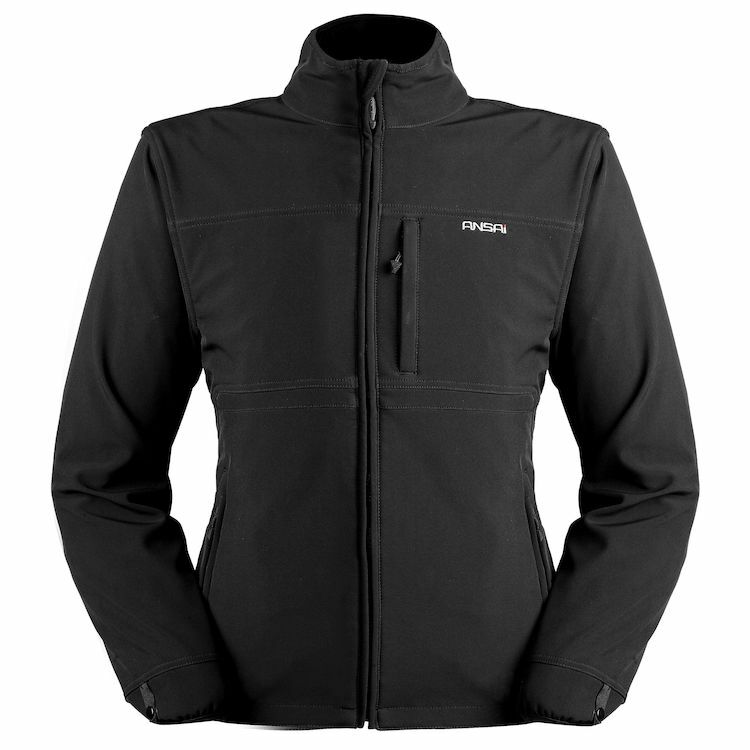 This jacket appears stylish as well as durable and most importantly, WARM! All reviews were above average. Battery time was at least 4 hours longer than competitor and reasonably priced. My daughter and I ride horses year round and this jacket is wonderful on the colder days in NY.